Have you heard of the GAPS Diet? Unfortunately, many people find it overwhelming, irrelevant, or unapproachable. Today I'd like to demystify it. For more details, follow along in our GAPS series. The author of the GAPS Diet, Dr. Natasha Campbell-McBride, believes that we cannot be healthy without a healthy gut. A healthy gut is a healthy, thriving population of beneficial organisms — she calls it a “micro-world” — that functions both to protect and nourish us. GAPS is an acronym that stands for Gut And Psychology Syndrome. If the gut is not healthy, we cannot be nourished well or protected against infection. “A human digestive tract is a long tube open to the outside word at its start and at its end. Whatever harmful things there are in the outside world, our digestive system is a perfect entrance for them into our bodies. 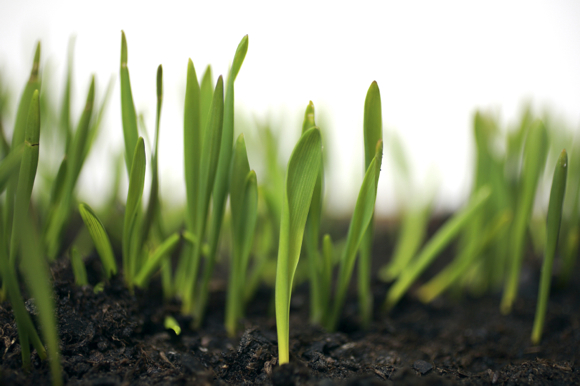 We eat and drink plenty of micro-organisms, chemicals and toxins every day. One of the major reasons is the fact that the whole length of the digestive tract is coated with a bacterial layer, much like a thick layer of turf, … providing a natural barrier against invaders, undigested food, toxins, and parasites. And, just like a soil unprotected by turf becomes eroded, the gut wall suffers if its protective bacterial “turf” gets damaged. How do our indigenous bacteria protect the gut wall? Apart from providing a physical barrier, they work against invasive pathogenic microorganisms by producing antibiotic-like substances, anti-fungal volatiles, anti-viral substances … that dissolve membranes of viruses and bacteria, they engage the immune system to respond appropriately to invaders. In addition, by producing organic acids, the beneficial bacteria reduce pH near the wall of the gut to 4.0–5.0, making a very uncomfortable acidic environment for growth and activity of pathogenic “bad” microbes, which require more alkaline surroundings. … if the beneficial bacteria in the gut are damaged and are not functioning as they should, then the “walls of the city” are not protected very well. Without protection, the gut wall is open to invasion by anything that comes along: a virus from vaccination or the environment, a ubiquitous fungus such as Candida Albicans, various bacteria and parasites and toxic substances, all of which are very capable of damaging our digestive system and causing a chronic inflammation in its walls. –Dr. Natasha Campbell-McBride, GAPS book (page 16-17). That was a long quote. 😉 In other words, the human gut is open to the world. It takes in harmful substances, day in and day out. We survive the onslaught if the human gut is protected by a thick and healthy bacterial layer. If the bacterial layer gets damaged, it cannot digest food well, nor can it protect us from invading parasites, fungus, virus, and harmful bacteria. So… a healthy gut is vitally important! Finally, there's 1 more question to answer before we get to the implications of having a compromised gut and then the basic principles of healing. What causes this damage to the gut lining, leaving it susceptible to enemy invasion? How Does The Gut Get Damaged In The First Place? First, diet. Today's diet of sugary foods and processed carbohydrates, as well as low fiber, feeds the bad bacteria. They looooovvvveeee sugar. Then, antibiotics. They kill good and bad organisms in the body. Bottle-feeding is another biggie. Babies are born with a sterile gut. Breast milk passes a healthy mix of bacteria to the baby (provided the mother is healthy). Bottle-feeding gives a different mix of bacteria that leaves the child pre-disposed to health problems. Infectious diseases can also damage gut flora. Although our gut can usually recover from short-term stress, prolonged stress can permanently damage healthy gut flora. Finally, other facts include physical exertion, old age, alcoholism, pollution, exposure to toxic substances, extreme climate, babies born via C-section, etc. Pretty much everyone in today's world has suffered from 1 or more of those factors. Could it be that most people are ideal candidates for the GAPS Diet? Very possibly. As you can see, healthy gut flora is incredibly important! If it is damaged, our health suffers. Abnormal gut flora produces toxins in our bodies, disrupts or blocks important body systems (like hormones, metabolism, immune system), and eats our nutrients. That's the bad news. The bad guys need to be stopped and gut health restored! We've laid out the problem, now let's talk about the solution. The GAPS Diet reverses damage in the gut and provides true nourishment for a nutrient-starved body. First, by depriving bad bacteria of what they like to eat (sugary, processed carbohydrate foods) so they die off and therefore quit disrupting body systems, producing toxins, and generally wreaking havoc. Second, by out-competing the bad bacteria with a high-quality probiotic supplement such as Bio-Kult. Third, sometimes people need to be under the care of a GAPS physician to treat specific parasitic or fungal infections. Now you know about the GAPS Diet in a nutshell. Additionally, check out our weekly GAPS series. Also, I recommend the meal plans and eBook from Cara at Health, Home and Happiness. If you missed the first post in this series, please check out Why I'm On The GAPS Diet. Finally, for more information about phasing off of the GAPS diet, check out Why, When, & How To Phase Off Of The GAPS Diet. What do you think about the GAPS Diet? Disclaimer: Please realize that I'm not a doctor and that I'm not giving medical advice in this post. Please consult your health care professional to for medical advice. Wardee, I’m excited that you are doing this too! About a month ago I bought the book and I have been taking steps to prepare to go on this diet. I’d be grateful to hear your personal experiences and insights. First few weeks are tough, but it’s easy as pie after six months or so. WOW! Well done!! Congratulations on ALL the fine results! I too have found great help in the GAPS diet. I am 9 months in to it and agree that the first weeks were the most difficult – but SO worth it! Whoo-hoo- love that you are doing this series Wardee! GAPS is important for so many people and I see the results every day with my clients. I became a GAPS Practitioner last year and trained with Dr. Campbell-McBride in New York. It was extremely beneficial as I’d been doing GAPS for some time- myself and with clients- but there were some clinical pearls that she shared which have been immensely helpful. There is full GAPS and GAPS Intro and sometimes we do a modified GAPS with some people. It’s an amazing healing protocol, but there are some tricks and tips to making it the most effective. It’s not just about the food…it’s an entire protocol. Many people need additional digestive support and the probiotics are very important- I have certain ones I use and I like to rotate them. Also, it’s essential that GAPS not be confused with a low-carb diet. Eating plenty of veggies is important, though sometimes we have to remove them for serious Crohn’s issues, etc. Anyway, I’m thrilled you are doing this and I can’t wait to see the rest of the series! Tips formaking this work with a toddler? We have supplements my two year old needs-a multi vitamin powder and cod liver oil so far-and in juice and flavored almond milk has been the only successful method. Even that doesn’t always work. And my husband and teenager are hard to change eating habits with. Sp thankful for this series. I just ordered the book to see what I think about her theory. I read somewhere that it is possible with GAPS to reverse gluten intolerance and possibly even celiac. Fascinating stuff if it’s true! I would love to hear any stories or tips relating to GAPS and young children. My 5 year old has severe food allergies and chronic eczema. I keep going back and forth about GAPS for her. She is very small, only 34 pounds and turning 6 this year. And as any 5 year old, she can be a finicky eater. I’m terrified that if I put her on GAPS, she’ll turn her nose up at the food, or it just won’t be enough for her and she’ll either lose weight or stop gaining altogether. I’ve also heard of some people on GAPS having low energy and that concerns me for her as well. Jessica, I’m not going to lie…both of my children lost weight last year when we were on GAPS for just 6 weeks. It was one of the reasons I decided to stop the diet for our family. Mine just wouldn’t eat. I found that it put way too much pressure on them to give our diet a name. Does that make sense? When I just cook food and don’t tell them why or that it’s for a “special diet”, they are much more willing to eat it than when I try to force bone broth down them because it’s part of a “diet”. I hope I’m not confusing you. Anyway, pray about it. May I also suggest finding a practitioner who is familiar with NAET? Googling it won’t get you far, because many people think it’s just a crazy, voo-doo treatment that doesn’t actually work. Our family is living proof that it does. Ditto on the NAET! It worked for our son who couldn’t tolerate ANY animal products. Granted at the time it was all bought at the grocery store. He had severe brain damage at birth, which also makes it hard for him to gain weight. Don’t know why. He just started the Milk Diet almost two weeks ago. He gained 1 1/2 pounds in the first week! Finally, over 40 pounds! We survived a brief 6-week stint on the GAPS Diet last year. About 10 days of that was the Intro diet. I’m not going to lie; it was very difficult for us. I bought the GAPS book and Cara’s 30-day meal plan. Although both were helpful, I’m afraid our GAPS journey was cut short by whiny kids (and parents, at times) and getting tired of eating the same five things over and over again. I think I could do a better job if I attempted it again, but we’ve been seeing a naturopath who specializes in NAET (Nambudripad’s Allergy Elimination Technique), and have seen major healing through that. In fact, my daughter had an allergic reaction to cherries yesterday afternoon. We went in to see our ND, who performed a treatment. After going back in for a follow-up today, my daughter has totally cleared her allergy to cherries and happily at some this afternoon with no adverse reaction. We still take BioKult, because no one will ever convince me that probiotics are unnecessary; but we are able to eat so much more now thanks to NAET and our knowledge of nourishing, whole foods. I applaud you for healing yourself. I applaud all of us who go against the grain and do what’s right for our bodies. Good luck, Wardee! Lindsey — Thanks for sharing your experience! We are going to have a post on NAET in this series, when we discuss complimentary therapies. So it is good to hear how much it is helping your family! And I know what you mean about how hard it is on Intro. We had to go through it pretty quickly because some in my family were struggling with the limited foods. I was introduced to NAET in Florida, by an acupuncturist. It’s an awesome protocol. Of course, in our state of TN, you can’t find ANYONE who does this. When I discussed with my chiro, he himself used the word “voodoo” in that that’s what scoffers would say about it and he’d be up in front of some medical board if he tried it…the closest we have to it is kinesiology. But that’s iffy. You need someone who really knows what he’s doing. so we’re stuck with healing ourselves, naturally–with GAPS, herbs, essential oils, raw foods, fermented foods, and friends who care and share. I would encourage those who feel intimidated with the word diet, as Lindsey mentioned, to think of a new ‘way of life’. With prayer and determination, the Lord will lead you where you need to go. Lindsey, it is hard with little children. But I’m having the opposite problem in that I started too late with my older children, so they don’t want to eat a lot of these new things. Taste is important. But younger taste buds are more sensitive, so they taste things that I just don’t notice anymore. Texture is also an important thing. To encourage you I will say, keep trying. The good you do now will stick with your children as they grow older. They will remember the things you did for them out of love, and those healthy habits may carry on to their adulthood. Hey just wanted to let you know I also live in TN and have went to Dr Clifford many many times for NAET. He is in White House TN. Amazing results and wonderful Dr and Staff! We did the full GAPS diet for about 6 months before doing intro. The first week wasn’t really hard, but when I added homemade ghee, intense cravings started constantly. We rushed through the rest of intro in the next week to get back to the full diet (honey & fruit). So I’m sure there’s a milk allergy that needs to be addressed. What sort of treatment resulted in going from unable to eat cherries, to able to eat them, in one go? I am horrified to be having to consider GAPS but the arrows are pointing in that direction for my multiple-food-allergic kids…my 5 yo son in particular seems to have really horrid personality / behavioral issues when on gluten, that he doesn’t have when not on it. It leaves me wondering what the heck happened, that wheat wasn’t problematic for the past few thousand years, but now it’s such a problem? The hybridization toward such an increase in gluten content? and why does that provoke seeming personality changes? We don’t have to understand the mechanism, in order to observe the effect. But it certainly is depressing. Bread, once the staff of life, seems now to be the doom of it. But why? Anyway, just wondering what sort of treatment it was you were referring to. Thanks. It is very hard, emotionally and psychologically, to enter this Strange New World in which ordinary everyday foods are suddenly so pernicious. But I can’t deny the evidence before me. Most breads aren’t what they used to be.. most flours are “enriched” with potato product, and yeasts aren’t cultured naturally, but are fed sugar and other things to standardise the process. So unless you’re milling your own bread and culturing your own yeast, odds are that your bread has a ton of things added to it that are having adverse effects. I thought I was intolerant to gluten and dairy and my MD agreed, but my naturopath has recently come to the conclusion that I am intolerant to potato and sugar cane products, both of which are present in most commodity dairy and bread products. So.. I’ve decided not to buy the theory that nearly everyone in north America is now gluten intolerant. Rather, we’re intolerant to commercially produced “food”. I’m fairly certain that no other region in the world is distorting food quite as efficiently as us.. Something we need to change. Interestingly enough, it wasn’t enriched flour, and it wasn’t any commercial product, and it wasn’t yeast, and it isn’t cane sugar (which is the only sugar we can eat, because “sugar” means beet sugar (not only GMO, but also one child is allergic to beets) and dextrose or glucose usually means from corn (also GMO, and also severely allergic to it). We can’t use enriched flour, enriched rice, or enriched pasta. Even before we removed gluten, I had to buy special whole-wheat pasta to avoid the enrichment, and special medium-grain rice, because my youngest reacts to the enriched stuff. I know it is hard to believe that so many people are suddenly unable to have gluten, and I found it hard to believe as well…til we were added to the list. There are so many illnesses and maladies that have become commonplace, that were rare even in my childhood, that the measuring stick of one’s own experience, for how credible something is, is no longer useful. Something has certainly changed. 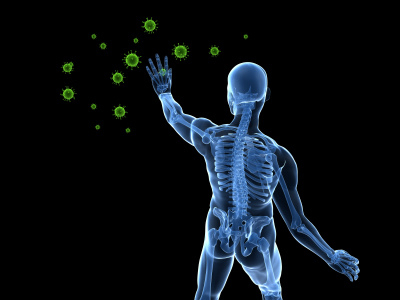 Our immune function, for sure. But there are so many likely culprits, so many immunotoxic and hormonally altering substances now in the environment that weren’t even invented in previous generations, that it’s no longer so hard to fathom such a sea change in health. > GMO wheat (Thank you, Monsanto.) explains a lot, Meg. All wheat/corn/soy products in this country (USA), unless labeled otherwise, are GMO. The line graph upward curve of availibility of these products to the public, parallels the line graph curve illustrating the dramatic increse of autoimmune disease and obesity. Long term studies now becoming available confirm this correlation. Although it may look like the food our ancestors ate (except maybe for Twinkies, etc., but) the genetic makeup of the food (primarily grain, but now getting into veggies) marketed to us by the major corportions is different from the genetic makeup of much of the staple food eaten only a few generations ago. > Another factor is breeding for shorter wheat plants with bigger grain. In the process, ancient wheats that had only 2 chromosomes (Einkorn) or 4 chromosomesy (Spelt and others) in the gluten became modern wheat with many chromosomes in the gluten. Unfortunately, this wheat does not metabolize as well as the ancient grains. > My generation (born roughly seven decades ago) is the last generation to personally observe the turning point. We saw the robust health and vitality of our grandparents and great grandparents and their contemporaries into very old age… Heard stories of the robust health of our parents when they were children, but saw them struggle with health issues as adults… Ourselves, struggled through a sickly childhood and worked to learn how to live a healthier lifestyle, yet still find were can be vulnerable to some of the “superbugs” if we’re not very careful… Our children were pretty healthy while living at home, less so when they got out on their own, made some connections and are doing somewhat better in middle age… Grown grandchildren are becoming more aware than their parents were. We hope the rising awareness factor will spread util it is the new norm. I hope the above observations motivate others to seek health and and show others the way. Thanks so much for walking us through this. I recently became a “convert” to eating real food, and have noticed many improvements in my health, but continue to have inexplicable gut issues (much worse than when I was on my SAD diet). I started reading about GAPS, and found that I have many factors in my life which may have set me up for having very compromised gut health (bottle fed, rasied on processed foods, a year on antibiotics as a young child, and years of abusing sugary foods…), but it seemed an overwhelming undertaking to actually live the protocol. But I see health issues in my children (and now in my grandchildren, too) which may be related to gut dysbiosis. And I am beginning to feel that this may not only be about *my* health, but about gaining knowledge and experience that could influence them to pursue healing for themselves. I have bought the book and am reading it, but being able to read about other people’s experiences in implementing the diet is invaluable to me in gaining courage to embark on my own healing journey. I’ve just posted a review about GAPS that would complement yours. http://anniekateshomeschoolreviews.com/2012/06/review-gut-and-psychology-syndrome-by-campbell-mcbride/ I’m going to add a link to your posts in my review. I’d like to hear more about people’s decisions to go on the diet from a social point of view, because it does have a lot of ramifications. No potlucks, or having dinner at Grandma’s, or 4th of July cook out. And the control you have to exercise over what your family eats. My three dd and I have been on the diet since last Aug. I can’t believe it has almost been a year! I am glad I started when I did. We were able to be done with intro before school started, and able to get through the most restrictive part through the fall and winter. This summer has been hard, but we are at the point where we can attend social activities, but bring our own food. Sometimes we cheat by eating gaps approved foods that aren’t organic. I just need to remember to bring our own salad dressing and bring sauerkraut for the meal and bring our own gaps desert. The holidays were hard to, but we just brought our own side dishes. I am new to your blog. I will give my 2 cents of the GAPS diet but please don’t take this as it won’t work for you or your family. I did it for myself for awhile as I have had numerous issues that I did not know how to take care of. While the GAPS DID help with energy, digestion, food sensitivites and such it didn’t last long. I had read the books and was SO SURE that I would never heal any other way and had practitioners that told me many of my symptoms where “die off” (one scary one was a racing pounding heart for days on end) It was too easy to go too low carb and soon was tired, lethargic, reactive hypoglycemic (this while eating almost 2000 calories in fat a day) and my hands and feet turned ice cold as well as my temps being low. Oh and lost a ton of weight that I DID NOT need to lose! I am curious… Wardee, have you done the diet? Does your family have major issues to clear up? Didn’t you see healing on eating whole properly prepared foods? I wonder if on the whole foods diet we look to quickly for everything to disappear…. and yet it took me years to get to the place that I am. All that being said, I am signing up for your classes today to get the most nutrition out of my foods 🙂 THANKS! Jackie–I’m glad I read your comment. I’ve had digestive issues since birth and my 4 year-old has major food aversions. We definitely need a change badly and have been looking to GAPS. I just ordered the book, but like you’re saying, I’m worried about the detoxifying effect of such an extreme diet. I’ve always been one to say that detoxes are bad for you–too much stress. Some people do die from detoxing. I’m very sensitive, both emotionally and physically and I think I wouldn’t be able to deal with a straight GAPS diet. But I think I’ll probably get a good amount of useful info from the book. Since I haven’t read it yet, I don’t know if the diet has been tested in various modified versions to see if the extreme of an Intro diet is truly necessary, but I can only imagine that with so many factors weighed in, just implementing a few of the changes can have a good healing effect. I’m also looking forward to reading the section on picky eaters. I’ve been going back and forth between giving my son all the control in hopes of him self-regulating eventually, and being strict. The book advocates the latter and judging from personal experiences I’ve encountered online, it seems to be effective. I had CFIDS (i.e. chronic fatigue) and went on a doctor-supervised detox regimen that took 9 months. He would not let me go quickly at all because he said I was too ill to be able to manage a strong die off reaction. Going straight onto GAPS could well have killed me. So first we cut a few things out of the diet, then more, then we started yeast busters, then we upped yeast busters and added other botanicals, and finally we went to medication. Each time I switched I felt terrible for a few days, but at the end of it all, I felt very good. I think I could manage GAPS now, and am considering it. If you’re not doctor supervised, I’d recommend just healthy whole foods and a healthy lifestyle at first. That should help you to be able to recover enough to go on a serious detox diet like GAPS, if you still want to. And if you can find a good doctor, for this, get one. If you are worried about going through detox so fast NCM talks about doing full gaps first then going to intro then back to full gaps to ease into it. Many people have done this with success. I would recommend this as intro is hard. I have been trying to force myself to do GAPS for 3 years, but I have issues with oxalates so I cannot do any nuts, seeds, and most fruits. I ALWAYS go into a bad hypoglycemia attack within 4-5 days doing GAPS without fruit or nuts. I feel stuck because I have major digestive issues and terrible bladder issues and I feel like I cant heal with eating grains because of what I read in the book and how they make me bloated, but I just cant do it this diet!. its dangerous for me. I get very weak, dizzy, shaky, anxious, cold, insomnia when trying to follow it. I also cannot tolerate any bone broth because of the high minerals on my damage bladder. Ugh.. I just feel sad about the whole thing but it seems like there is no way for me to heal without it. I have a neuro disorder which affects my functioning, sometime more than others. 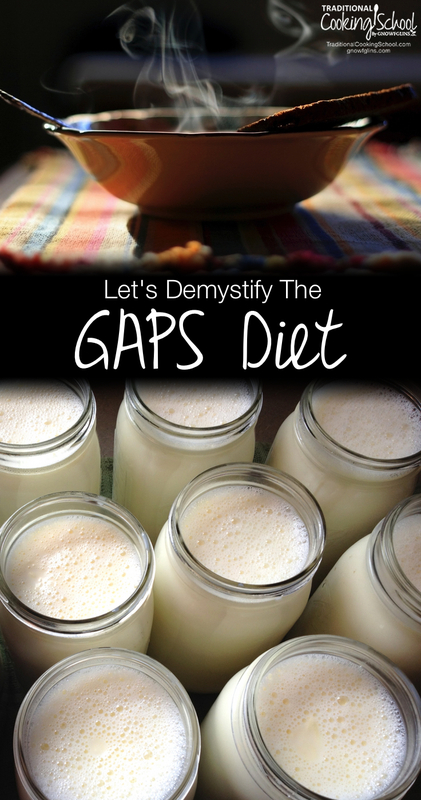 GAPS has been the only ‘diet’ I have been able to follow without making my symptoms worse. I’ve tried low calorie diets and with low-carb diets I have been violently sick by the end of the day I am so sensitive. GAPS is not intended to be low-carb and I eat lots of high-carb veggies, like carrot in my broth. I am not on full GAPS yet, and I find myself eating every two hours. Before I started I cut out gluten, I have sugar craving right now, and had a headache (which I knew was a withdrawal headache) for the first three days then it tapered off. I also stopped using my commercial moisturiser and changed my toothpaste and deodorant in an effort to start lowering ‘outside’ chemicals. I am going to say due to my condition I am hyper sensitive, but find GAPS ok. If you are worried about ‘die-off’ start gently, but I found taking panadol and eating some apple sauce in the first few days got me through. One other thing, make heaps of broth before you start and source you sauerkraut, my home made kraut has not been successful after quite a few attempts and I have as an emergency measure resorted to taking a probiotic. Anyway, really it’s all good and already feeling different which is a blessing. I’ve been on a waiting list to receive the GAPS book from the library since September of last year. I look into it here and there on the internet so I am very excited about this series. I came across GAPS when my depression meds didn’t seem to be helping much. I had tried many natural remedies before giving into medication and started on a very low dose, but found that I had to increase it. After the birth of my second child is when I developed post-partum depression; I had hoped it would be a short-lived thing, but it has not. I am now pregnant with our third child (26 weeks) and in addition to my depression issues I would love to cure my seasonal allergies. I am assuming pregnancy is not the best time to begin the GAPS diet, at least not the first stages. Any recommendations for what I can do? I make and drink water kefir on a fairly regular basis, as well as yogurt, I tried sourdough, but my starter died and I haven’t gotten around to re-starting a new one and I have not gotten into the cultured/fermented veggies/foods (other than those I mentioned). We do try to eat a whole food/real food diet, but aren’t super strict about everything we eat. We tried giving up sugar and although we cut down significantly, we still do eat sugar, mostly in the form of maple syrup, honey and molasses. I would start by adding homemade broths into your diet. I would drink a cup with every meal. My children LOVE bone broth in the form of gravy! I have no problem getting them to enjoy it like that. Happy to find this site, as I plunged into the Gaps diet on July 11, almost 2 weeks ago, I fell into it after yet another attack of bad toxicity following stomach and bowel distress, which in the past I have attributed to food allergies, but nothing has been correlating. I know how to track food allergies. Been doing it for 20+ years. 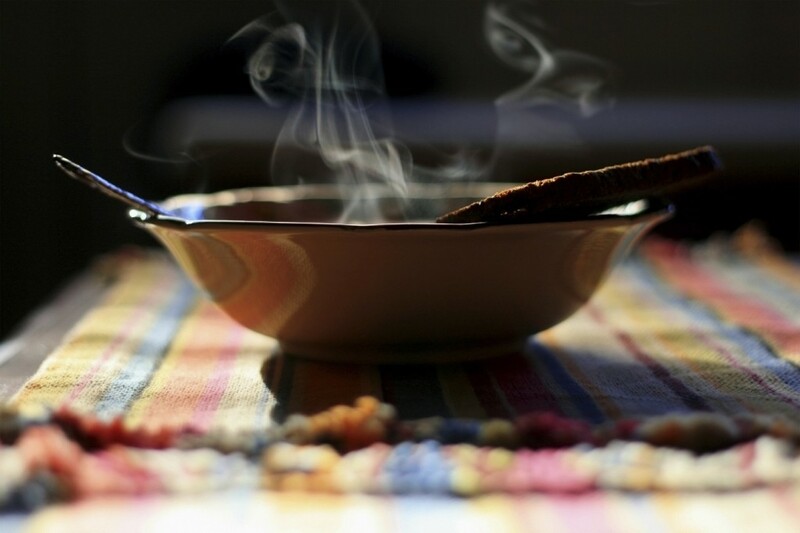 I have been coming to realize it was not just candida, or emotional clearing, or an allergy, but all around digestive weakness-a life long pattern. So I was excited to find the GAPS information by way of a thyroid webinar I attended. I am so ready to heal! I continue to do it one day at a time, because that is the only way I can approach it. Starting to get the hang of making massive amounts of soup broth in my small kitchen, although the fresh sardine bone broth experiment was rather gnarly, (An aside-do not use tuna or fresh sardine heads-they can harbor a very bad toxin) I now have the crock pot going on the porch, as the worse part, other than when I start to future trip about next Christmas etc., has been the soup smell throughout my small house. I am so excited and grateful to have found a way to heal! I got my book today. I must say, so far it seems rather incomplete. I have many questions. For you who thrive on GAPS diet, what are the effects/reactions of using whole grains like brown rice, steel-cut oats, oatmeal ect? I have been looking for a way to treat ADD symptoms. How does the gaps diet effect ADD? Scott — ADD is one of the conditions it treats. I would suggest reading around at http://gaps.me for more info. I need this. GAPS, that is. I keep reading bits here and there and know it’s for me. I am so busy…working, homeschooling, four kids…it seems like so much work! But, thanks for demystification and resources! It’s encouraging! I’m a vegetarian. How can GAPS work? I do eat a lot of carbs (rice, potatoes, pasta) and fruit and am not sure what I would be able to eat on this diet. Everything I see talks about bone broths and meat. Unfortunately a lot of the veggies I like are starchy too. I do drink Kombucha often, sometimes, kefir and sometimes eat kim chi. Try the original healing diet….get the book “Healing With Whole Foods” by Paul Pritchford. It’s heavy on oriental medicine and acupuncture and healing diets. It was “clean eating” before clean eating was a term. Just good whole foods.